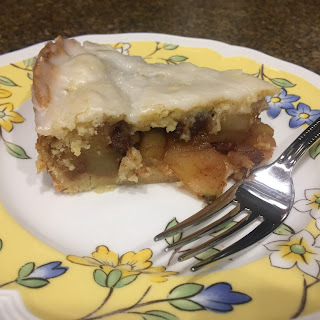 Gedeckter Apfelkuchen is a popular German glazed apple cake. 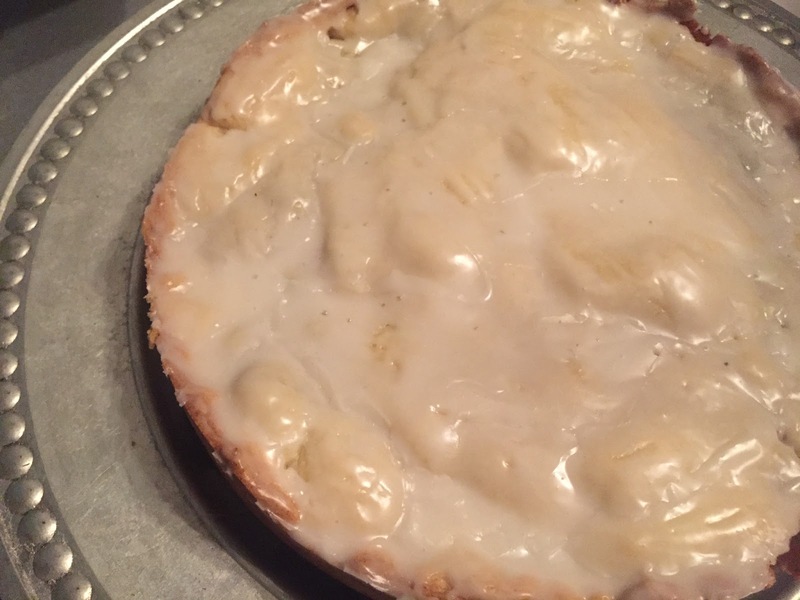 It has a shortbread-like pastry crust and is filled with a chunky cinnamon apple filling, and then topped with the same shortbread crust. After baking, the cake is glazed. I used a mix of apples for it, Granny Smith, Crisp, and Honeycrisp, to keep a sweet, tart flavor. Boiled apple cider extract amps up the apple flavor, so I put a spoonful of that in, too. You can find boiled apple cider extract from King Arthur Flour. I added vanilla to the crust because I love the subtle sweetness vanilla brings. This cake does remind me a little of apple pie. Add some whipped cream, ice cream, and or a glass of milk to go with it, and you are set! Combine the flour, granulated sugar, baking powder, and salt together in a large bowl. Slice the butter into cubes and add it into the flour mixture. Using a pastry cutter or your hands, combine the butter into the flour until the butter is no longer visible. Add the egg and vanilla, and knead the dough until smooth. Alternatively, you can combine all of the items in the bowl of a stand mixer with the paddle attachment. After the dough is done, remove from the bowl, and wrap it tightly in plastic wrap and refrigerate for at least an hour or up to a day. Next, peel, core, and quarter the apples. Cut them into slices 1⁄8 to 1⁄4 inch thick and put into in a large pot. Add the 1/4 cup lemon juice with the cinnamon, raisins, and the 1⁄4 cup of water. Cover and bring to a simmer over medium heat, stirring periodically. Cook the apples for 15 to 20 minutes, or until soft and relatively broken down. Remove then pot from the heat. Now, preheat the oven to 350°F. Line the bottom of a 9-inch springform pan with parchment paper. Take two-thirds of the dough, pat it evenly into the springform pan, and form a 1-inch rim at the edges. Return the remaining dough to the refrigerator. Prick the dough in the pan evenly all over with a fork. Line the dough with a sheet of aluminum foil and fill the pan with pie weights, rice, or dried beans. This is to help the crust stay flat. Bake for 20 minutes, or until the crust starts to firm up but is not yet brown. Remove from the oven and remove the aluminum foil and pie weights; leave the oven temperature. Then, add the apple mixture evenly into the shell and smooth the top. Roll out the remaining one-third of the dough between two pieces of plastic wrap until slightly larger than the pan. Trim the edges of the circle and gently transfer the circle to the top of the cake, laying it over the apple filling. Tuck in the top crust and cut off any excess. Put the pan back in the oven and bake for 35 to 40 minutes, or until the top is golden brown and slightly puffed. Remove the pan from the oven and let cool for 10 minutes while you prepare the glaze. Mix the confectioners’ sugar with 2 teaspoons of water and 2 teaspoons of lemon juice until smooth. Brush the glaze over the still-warm cake and then let the cake cool completely before serving.